In my role as Designer with Dear Kate we took on the challenge of bringing their patented underwear technology into the athletic market, starting with yoga pants. The tagline "No Matter Where, No Matter When, No Sweat No Fear" says it all. The demands and constraints were challenging, but it was an exciting project and an awesome demographic move sports apparel forwards for! Studio Director for the Technology Team (as a long term consultant) working alongside the founding Manufacture New York team, driving projects across future technology integration into fashion and sports apparel, new technology explorations, user research for integration, and designing new products. Worked in house, and remotely, with client in the exciting area of disruptive products, developing new wearables for the fashion, tech and sports markets. All of the MNY Technology Team innovations occur under the goal of onshoring manufacturing to enable innovation across the entire fashion and apparel industry. See June 9, 2015 article by WWD "Manufacture New York Developing Wearable Tech Research and Development Center" article or blog post. The Beacon Jacket came from a broad ask to – “create a new visibility product which has a unique brand.” For an innovation designer this is a wonderful challenge. The concept and look was developed through intensive research, development and ideation, as far afield as biomimicry, government safety data, the science of sight, and emerging light technologies. Once the story, technology, and design direction coalesced, Julianne collaborated with a talented team of fabric technologists, and apparel designers, then marketing, to bring the concept to life. The jacket, and shoe, launched Fall 2013 with a novel, three tiered visibility story, and a look that was uniquely New Balance. It also landed just before the glow in the dark trend hit fashion, and became the focal point in the Run Collection, and inspiration for lifestyle collections, for the following 5 seasons. This is an example of an innovation product in the Sporting Goods industry, where Julianne worked the last four years. One key driving innovation has cascading impact for the brand and this is why investment in innovation is key to success in the market. The Beacon Jacket also enabled Julianne to become the founding member of the new Apparel Innovation team. 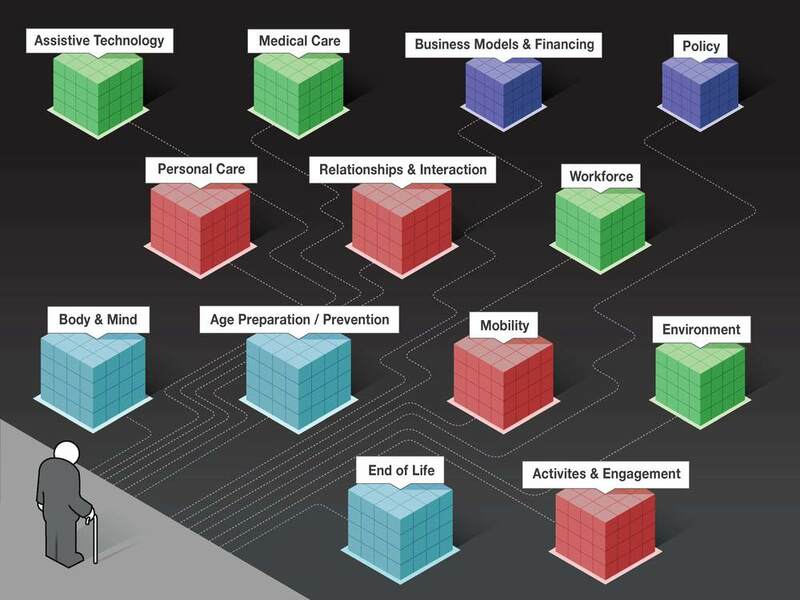 Collaboration, along with research, is key to problem solving and creating disruptive designs. In her career, Julianne has partnered with expert users, expert industry partners, universities, and most of all the innovation teams she worked on. She has consistently sought diverse teams, of personalities and skill sets, who challenge each other and push the concepts forwards; always working with the latest technologies, product problems, research and resources. Design is rooted in a context, and once examined, generally through intensive user research, the challenge is clarified, researched in a broader sense and the ideation begins. Then design and development occurs, and the innovation process takes shape, constantly informed by the earlier stages. Julianne has had the privilege of working on teams where this iterative process, resulted in groundbreaking designs. The "Making as Thinking" truism she learned as a graduate student at RISD is something she still believe in strongly and has found on successful teams. Such teams, often operating as skunkworks, and know to physically explore concepts as rapidly as possible, to assess and move an idea forwards quickly. It is a playful but essential part of disruptive design. Consulting with the VF Global Innovation Center on visionary projects in sporting goods, bringing my skills in user research, technology, future innovation to the diverse team. The collaborative ideation and development process around creating complex future products for sporting goods brands under the VF name is a great pleasure. It is thrilling to see the Data Driven Training Knit which we developed and designed in 2013 appear in preparation for the Olympics in Rio on Team Ireland & New Zealand, & also Team NB. The engineered knit tops were a part of head to toe story for the brand story “Data Driven Design” NB was pushing (which was just emerging in 2013) which led to the Nervous System 3D printed shoe. We spent hundreds of hours ideating what this would look like, how to plan ahead for Rio when athletes are qualify last minute, researching future technologies & elite bodies, ideating directions before we determined to work with thermal aggregation and knits, apparels long existing answer to 3D printing machines, but which is evolving ever more technical by the day. We took thermal images of male and female athletes, aggregated data points, and translated data into relevant pattern forms for an intelligent knits, requiring precision not customary in knitting. But the outcome is lovely, deceptively simple and deeply meaningful in its thermal efficacy and relevance to the elite body in training motion. As Creative Adviser to Descience, Julianne is part of a team evolving the organization beyond it's success with the international Descience Runway show in 2014 at the MIT Media Lab, and further scaling up the Global Community to connect Designers and Scientists everywhere, rooted in the power of human connections. As a part of the Descience mission, Julianne organized and led the successful Fashion 4wrd conference in September 2015. A fashion, technology and science night with 4 world class panelists, 17 future lab fashion tech vendors, & gallery showings at the MFA, 350 guests, co run by the Boston MFA and the MIT Enterprise Forum. Some of the press coverage from the first season for the Beacon Jacket. Worked with extreme users for research partners in the design provides extreme insights, which can then be scaled back for the more mid level consumer products. Research and collaboration with elite athlete and military groups has been key in Julianne's career at New Balance and before, at Dhama in India, and at NASA. At New Balance intensive user research with Olympic athletes drove development of the apparel for Team NB and Olympic kits. The most extreme result of the research, data analysis and data aggregation will be used in design and construction of key pieces for the 2016 Olympic Games. In design research, Julianne employs tools such as intensive follows, workshops, interviews and collaborative exercises to glean knowledge, need and opportunity, as well as engage the expert user in the process. This intensive research both sparks and drives the creative process in design-this is the combination of methodology and magic. Industrial Design, particularly in innovation, goes beyond creating physical products and encompasses design strategy, both as a process and a product. Throughout projects the ability to shape both a particular object, but also the project arc itself, through research and all the way through development, and to market, is essential. An innovative concept that lands in the market at the wrong time, or is messaged in the wrong way, will fall flat. Julianne was first learned these key lessons of design strategy at Burberry in London in 2003. While at Burberry, she was exposed to the early reemergence of the brand under Christopher Bailey, newly appointed house designer, and worked on a team imaging Burberry’s identity beyond the clothing. How the strong heritage should influence new products such as eyewear, watches, home goods and fragrance, enabling the team to create novel but truly Burberry products. 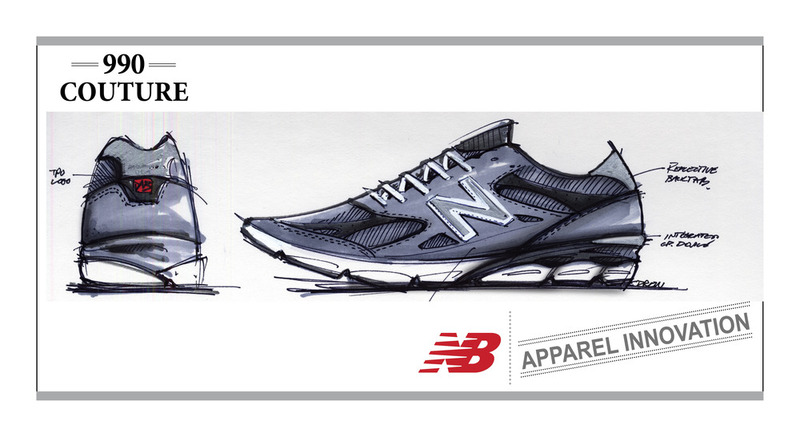 At New Balance Julianne created a full design strategy as a product, resulting in the 990 Apparel collection. 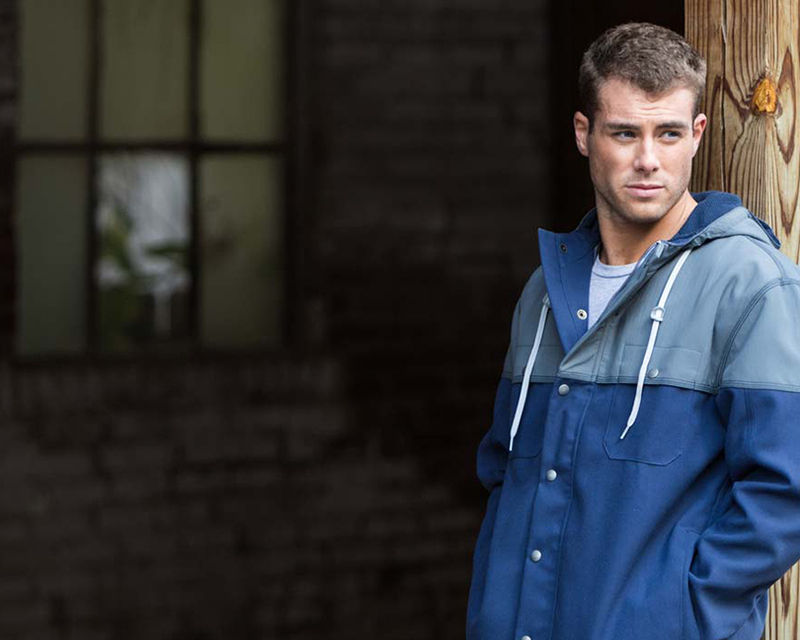 The brand was struggling with its authentic voice, what it alone could be, in apparel. By deconstructing the ethos of the gray 990 New Balance shoe, Julianne was able to go deeper than the aesthetics, pulling out the key threads of the classic shoe, such as ‘Made in the US,’ the high quality materials, heritage appeal, and gender neutrality. Her team produced a Design Strategy for lifestyle apparel which led to an entire new collection from the ‘Go to Market Apparel’ Team. At the Business Innovation Factory Julianne was on a multi-disciplinary team embedded in a Senior Home over a series of months. They observed, participated and documented the experience, clearly mapping out the full Elder Experience. This resulted in intensive investigation of pain points, generating product opportunities and directions in partnership with major international brands. 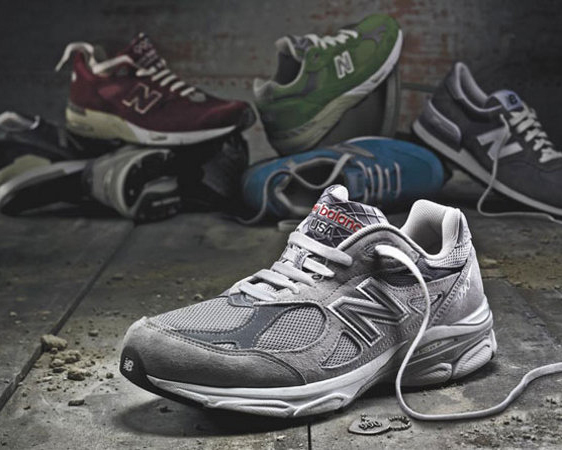 Pieces and Press coverage of the 990 Lifestyle Apparel Collection, the first sports brand Made in the USA collection, drawing on New Balance's rich footwear heritage. Sports innovation teams are examining Wearables intensively, as Julianne did at New Balance, working to solve user needs where technology is the best fix, can be applied seamlessly, and with little inconvenience or behavior change for the user. Another key element is that the data, or effect of the technology, must be meaningful and actionable to improve the athletes quality of life or performance immediately. As MIT Media Lab Liaison she explored new theoretical opportunities as well. 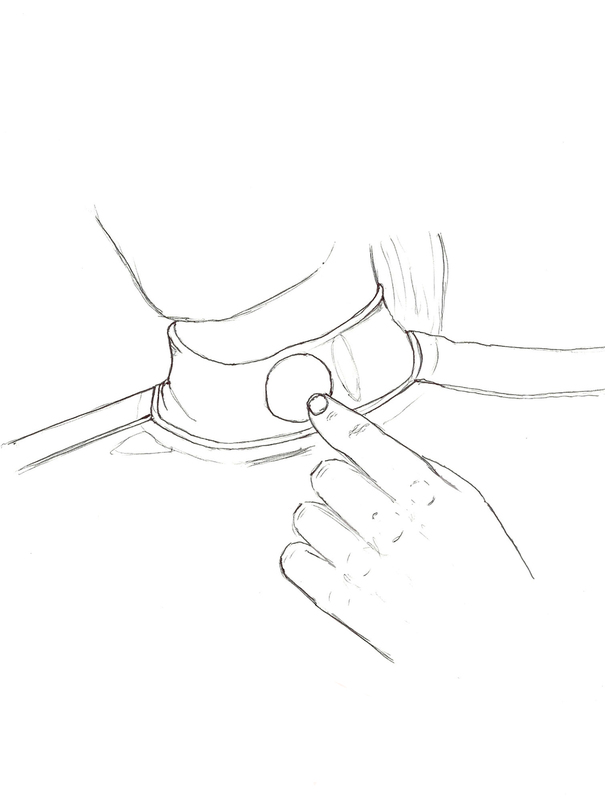 When designing for the body, Wearables inevitably arise as a need and solution for many scenarios. At Dhama Innovations, in 2009, Julianne was tasked with creating consumer products for the MIT start-up's patented thermoelectric heating and cooling technology. Through user and market research, theorizing designs and user testing prototypes, Julianne and the team generated designs for the technology, ultimately therapeutic and the military. Julianne has worked with visibility, thermal and 'Quantified Self' Wearables. And she is on the Board for the Fashion + Technology Conference in Boston, June 2015. The 5 month NASA-RISD project in 2007 employed designers, engineers and NASA specialists to work collaboratively to design human centric solutions and a high quality models of proposed solutions for the Airlock System for the 2020 Lunar Lander. The design team at RISD undertook months of human factors and ergonomics research, interviewing makers and users of the new suit, building models of suit and bulkheads, and an 1/6 gravity harness to fully understand the Lunar experience, demands and limitations. The research, done in consultation with the NASA Houston based Human Factors team, resulted in two design advisements of the bulkhead form, placement, and functionality of the Suitlock System. Two full scale museum quality models of the Suitlock/Airlock were presented to the team at NASA HQ in Houston for review and ongoing use.